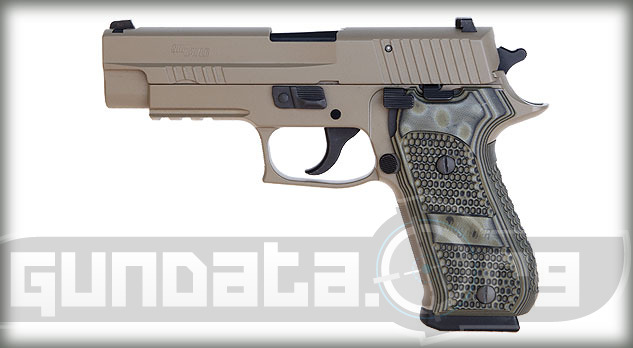 The Sig Sauer Double Action Kellerman (DAK) is a semi-automatic, medium framed handgun that was designed for on-duty, self-defense, along with conceal and carry purposes. It is the current handgun of choice for the U.S. Coast Guard. The DAK features a double action trigger with a 6.5-pound pull to give users the feel of having only fired a single action instead. This allows for more accurate shooting during a firing cycle. It has an integrated accessory rail that allows users to mount a tactical light or laser onto the frame of the gun. 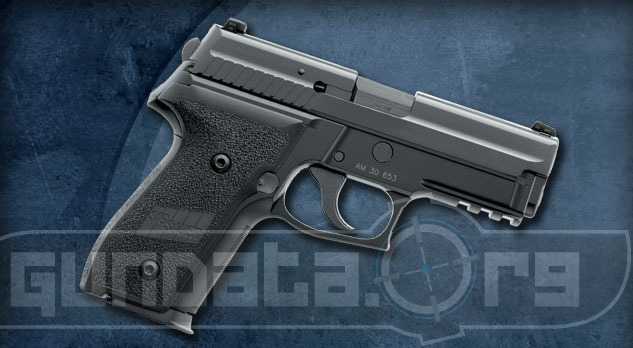 The overall length of the P229 DAK is 7.1-inches, with a height of 5.1-inches, and a barrel length of 3.9-inches. The slide material is made from stainless steel, and has a black Nitron finish. The frame material is made from aluminum alloy and has a black hard coat anodized finish. The sights are the 3 white dot SIGLITE night sights. It holds a magazine capacity of 13-rounds for 9mm ammunition, and 12-rounds of .357 SIG or .40 S&W ammunition. The grips are ergonomic black polymer and feature front strap serrations.